The Harvard Club of Naples cordially invites you to join us for lunch with Mark Strain, Chair of the Collier County Planning Commission. Please join us for a fascinating discussion on the many challenges facing Collier County as the Planning Commission wrestles with a population growth forecasted to grow to over a million people, the infrastructure needed to support this growth, and the unique environmental issues that arise from living in Southwest Florida. 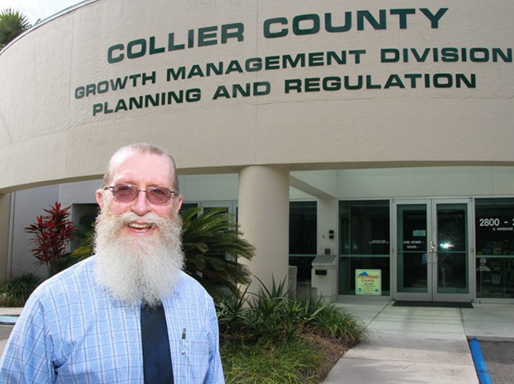 Mark Strain, Chair of the Collier County Planning Commission, brings an experienced viewpoint to these challenges and will provide a detailed roadmap on the Commission's strategies and implementation plans.